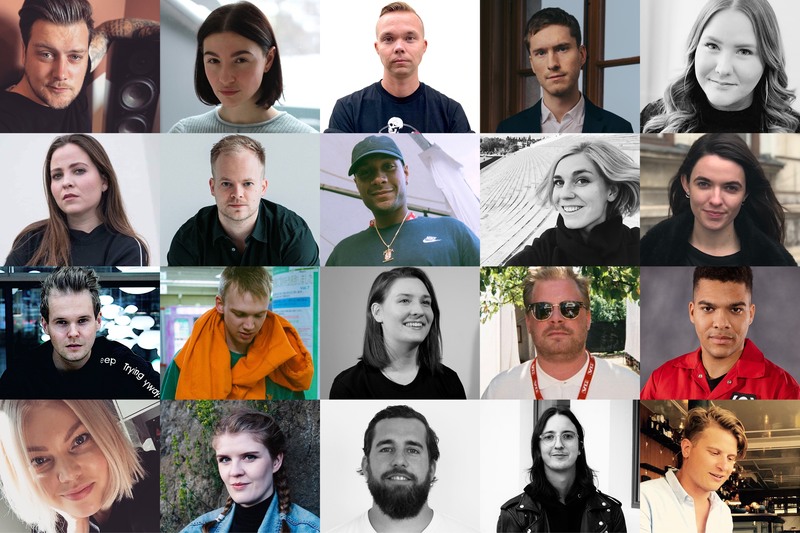 These are the 2019 Nordic Music Biz’ 20 under 30. The talent emerging from the Nordics seems to never end; Sigrid, Alan Walker, Boy Pablo, Volbeat, MØ, Alma, Zara Larsson, Of Monsters and Men, and the list goes on, have all built up a massive following, performing for thousands of fans around the world. A vital part of the rise of these artists are the teams behind them, and especially the young forces who bring new perspectives, ideas and business models to an ever-changing industry. Therefore, for the second time, 20 young forces driving the Nordic industry forward are given the spotlight. “Selecting the Nordic Top 20 under 30 felt both important and rewarding. Nominees from all different fields in the Nordic music business are a great reminder of how strong we are as an industry, not only focusing on our performing artists, writers and producers – but also on the people behind the scenes. After receiving an even bigger amount of nominees, we finally boiled them down to the final of 20 people we consider being the most successful and inspiring people in the business right now. Not only for being key persons on a professional level in the Nordic music business, but also for standing as incredible role models to their colleagues and for setting new standards. This year’s Nordic Music Biz’ 20 under 30 will be honored with a ceremony and lunch during by:Larm the 28th of February, where they will be presented with a diploma. Monica Santos (Upstage, NO), Manbir Plaha (Universal Music Norway, NO), Karoline Røed Tønnesen (Music Norway, NO), Jenny Hermanson (Spotify, SE), Jonas Holst (Universal Music Publishing, SE), Matilda Munthe Gottberg (Music Export Sweden, SE) Stefan Gejsing (Roskilde Festival , DK), Sarah Sølvsteen (Luger DK, DK), Carolina Echeverri (MXD, DK), Maria Rut Reynisdottir (Reykjavik Music City, IS), Steinthor Helgi Arnsteinsson (Sonar Reykjavik, IS), Bryndís Jónatansdóttir (Iceland Music, IS) Salla Vallius (Live FIN, FI), Miika Särmäkari (Rutilus Music, FI) and Riku Salomaa (Music Finland, FI). The jury’s decision is based on: their company’s growth, their career path, their recognition in the industry, influence in the industry in 2018, artistic development, innovation, concert revenues, sales, streaming, campaigns, radio and television publicity. NOMEX, the collaborative platform for the five Nordic Music Export offices, who is responsible for the awards, consists of all the Nordic music export offices. Export Music Sweden, Iceland Music Export, Music Export Denmar, Music Finland and Music Norway have all worked together to make this happen.